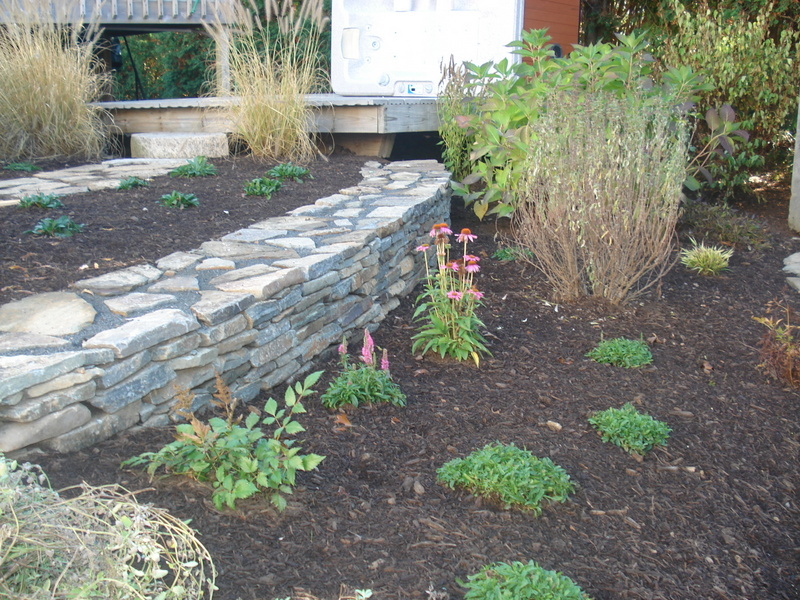 DiRoma Landscaping can provide professional landscape design services for you. We can design landscaping projects specific to you and your properties needs utilizing state of the art software, a landscape designer with a CAD drawing, or a more simple way by using marker paint outlining your new design. We use a software program that allows you to see the project within a digital environment well before construction or planting begins. Our landscape designer can do a more formal layout of your project with a CAD drawing. Or even a more simply way, we can outline your design with marker paint, using ‘X and O’ to mark out where plants, water features, etc. would go so you can easily see what your new design would look like. Once you choose the option that best suits your needs, we would invite you to visit our Home and Garden Center so you can physically see and help choose the live plants, trees, water features, hardscape, etc. for your new landscape. Whatever way you choose that suits you and your budget, all of our designs keep maintenance to a minimum so you can spend more time enjoying your new piece of paradise. DiRoma Landscaping can also give you piece of mind, allowing you the option to have us maintain your newly designed and installed paradise.